As a digital analyst, futurist, and anthropologist, Brian Solis has a keen understanding of how emerging technology effects modern-day business and marketing. 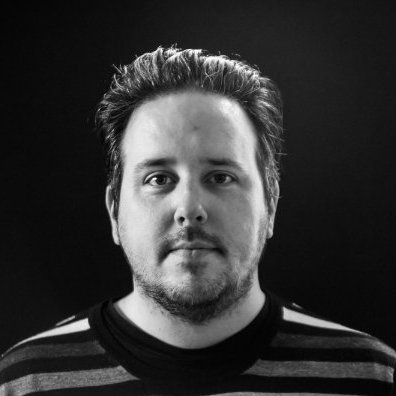 He is also the author of What’s the Future of Business (WTF), which explores business and customer relationships in today’s professional landscape. LinkedIn also partnered with Brian and his company, Altimeter Group, to research the lessons we can learn from the most socially engaged companies. Brian’s expertise and clear presence as a thought leader made him a must-interview for our new eBook, The Sophisticated Marketer’s Guide to Thought Leadership. Here’s an excerpt from our interview with Brian. LinkedIn: For those looking to create thought leadership content for the first time, what are the best opportunities to get started? True thought leadership begins with empathy. Can you tell me the top ten problems your audience has at any given time? How about the top ten aspirations? Are you thinking through where your audience wants to be, compared with where the market is going? LinkedIn: You’ve mentioned before that engagement is really about A.R.T. (Actions, Reactions and Transactions). When crafting a thought leadership strategy, do you recommend starting with the story you want to tell or the A.R.T. you want to achieve? 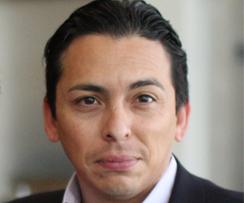 Brian Solis: A.R.T. is really about what happens next. Attention is precious. Once you have earned attention, it’s what you do with that attention that counts. Too many companies emphasize attention. They come up with amazing headlines, clever GIFs, and great infographics, but there is rarely a defined strategy to do something with attention once it is captured. A.R.T. is less about following the trend of trying to be a storyteller, and more about just trying to be engaging. I believe the story comes naturally when you are inspired by the empathy of being human, and what humans find compelling, useful, and meaningful. LinkedIn: What LinkedIn marketing tactics can brands use to implement thought leadership campaigns? Brian Solis: The key to ‘relationship economics’ on social media is no different from real-world relationships: the more you invest in terms of time, openness, value, listening, and engagement, the more likely it is that relationships will flourish. It starts at the top. We found that executives at companies that reap the rewards of social media engagement are much more active on social media than executives at companies that are not socially active. They also play a bigger role in driving a socially engaged culture. Yes, there are specific tactics companies can use on LinkedIn, but the most effective social media strategies are derived from a culture of relationship building where the executives lead by example. LinkedIn: In your mind, what is the biggest differentiator between those who try to become thought leaders and those who ultimately succeed at it? Brian Solis: Philosophically I wonder if anyone really knows if they are successful. How do you define success? The people who want to be helpful, do they have to justify ROI? It comes down to campaign vs continuum. One turns off and the other is part of life. The A.R.T. of engagement was always about assessing the value in real-time, adding to what you’re doing, and measuring. You should know more as you go, so that you can effectively refine as you go. Your thought leadership strategy starts here. Download The Sophisticated Marketer’s Guide to Thought Leadership today for the full interview with Brian. You’ll also get access to additional interviews, expert insights, and more. This post is the first in a series of interviews connected with marketing thought leaders on the topic of using thought leadership to drive business results. Subscribe to our blog to catch the next interviews in the series.